In the configuration area, the adjustments for the activity units in use and the proposed experiment are made. Activity units: All activity units in use are shown. Activity unit description: You can enter a description for each single activity unit (i.e. for each animal). This may be an animal number or test substance for example. Groups: You can group the units and enter a description for each group. Even during the experiment, the group data will be calculated and presented in real time. 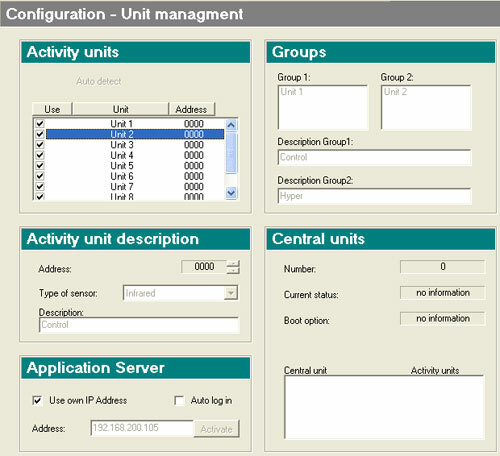 Application Server & Central units: Technical preferences for internal data communication. Experiments: Number of experiments in the system. 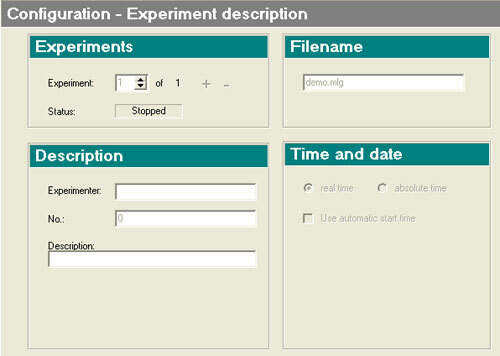 Description: Description of the experiment. Filename: Filename of the experiment. Time and date: You can select whether real time or absolute time is used for the experiment and you can use the automatic start and stop option. Activity classes: Division of the ten activity classes. 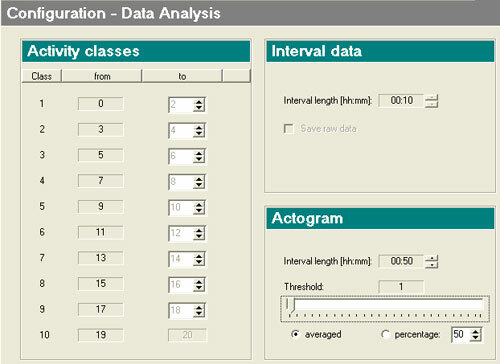 Interval data: Time interval of the summary data. Actogram: Time interval and threshold of the actogram (also can be changed later). If you have questions concerning this product, please don’t hesitate to contact us.